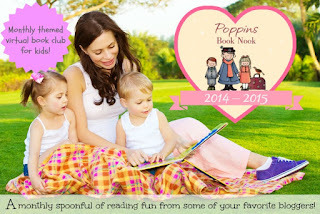 Welcome to the September edition of Poppins Book Nook! This month's theme is Newbery Medal Books. A lot of these books are aimed at readers 8-12, so we discovered one that was a nominee in the 3-5 age category. Dr De Soto tells the story of a dentist mouse who outfoxes a fox! 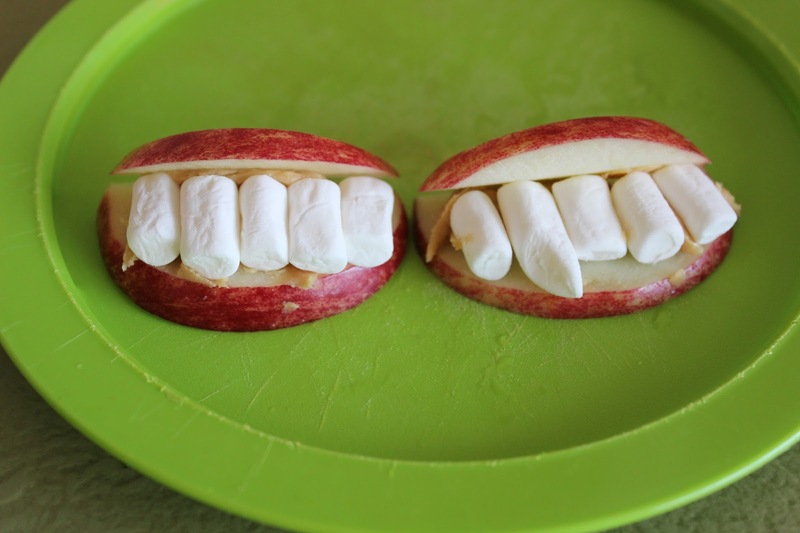 My boys started off our activity session for Dr De Soto with a mounth made out of apples, peanut butter and mini marshmallows. 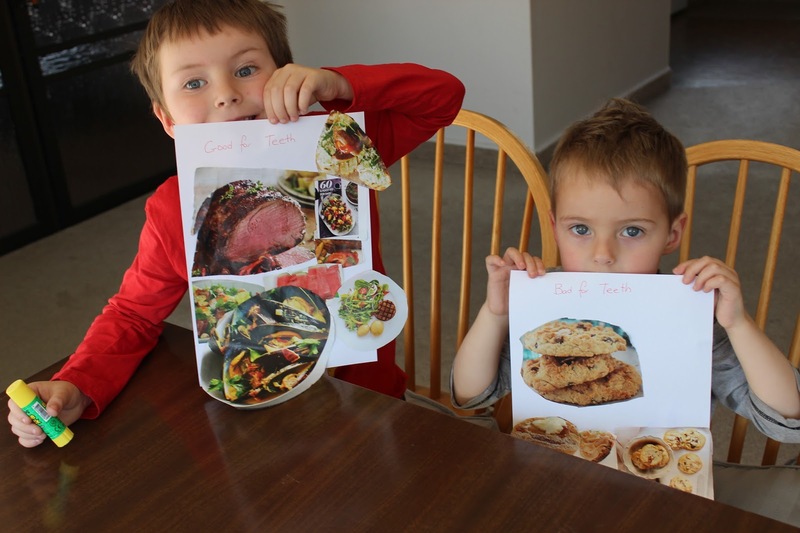 We then went through some magazines and cut out photos of food, then catergorised them into foods that were good for teeth and foods that were bad for teeth. 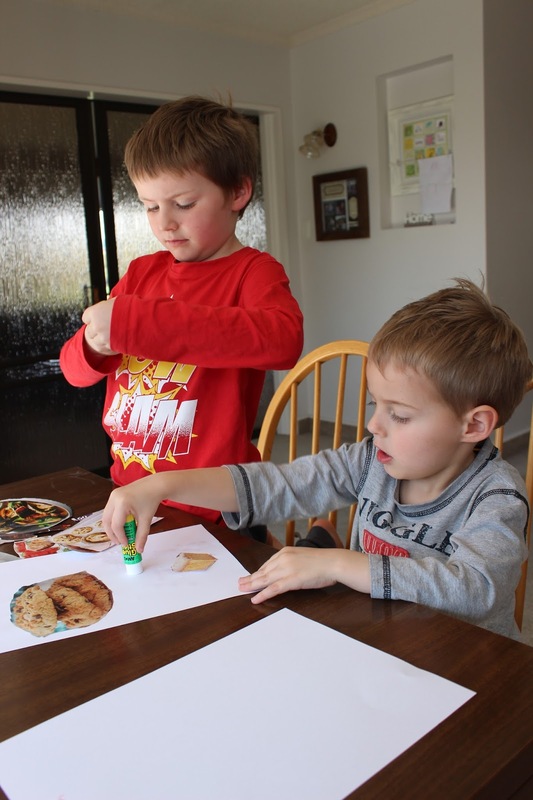 This was a great way of testing how much my kids know about dental health and the appeal of sugary food! My eldest son deliberated a bit over the cookies as they did have fruit and nuts in them, but this was an opportunity to explain to my children that things may often look healthy but have hidden sugar. The end result was two collages of dental friendly food and dental no-nos! However, this also led to a discussion about eating a variety of foods and that it is still OK to have a cookie every now and then. We then started to talk about the fox in the story, and how he ended up with a gold tooth. 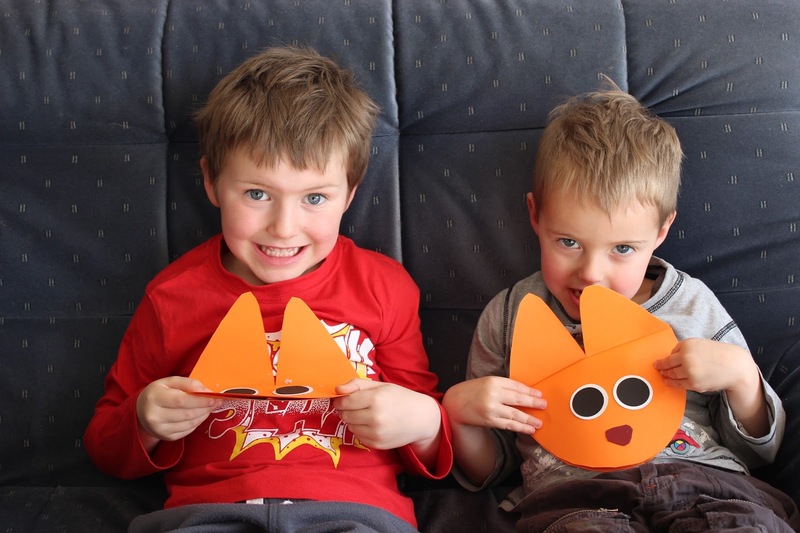 We made our very own fox faces by modifying this shark template. I added an extra fin and turned it into an ear, and then freehand cut a nose and punched circles for the eyes. 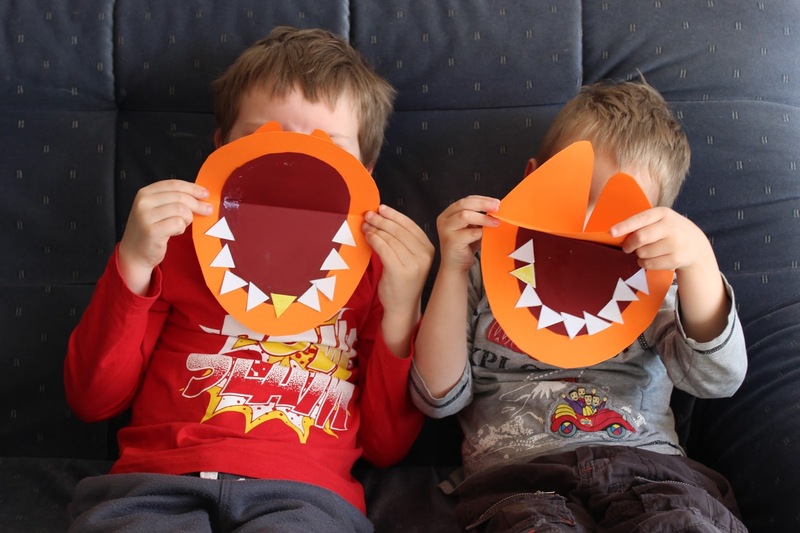 We coloured one of the teeth in yellow to be Mr Fox's gold tooth, and the boys had so much fun opening and closing the fox's mouth. 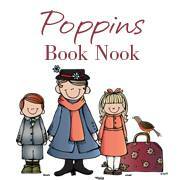 Click below to see how other members of Poppins Book Nook were inspired!